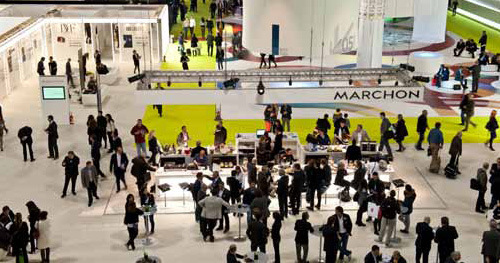 From March 4 to 6,Milan was host to Mido, the leading international trade fair dedicated to the world of eyewear. More than 1,100 domestic and international manufacturers took advantage of the opportunity to unveil their new collections and present cutting-edge optical technology to more than 42,000 visitors. 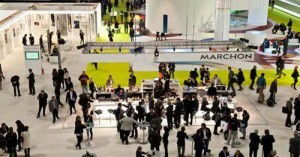 With an increase of seven per cent in attendees fromItalyand roughly three per cent overall compared to 2010, Mido confirmed that a much-welcome economic recovery had taken place. The focus of Mido is the manufacturing sector, whose aesthetic moxie has inspired some of the world’s most surprising and stunning products. The show represents a unique forum that gathers together a varied mix of fashion buyers, opticians and ophthalmologists seeking out new design trends. The 2011 fair saw the return of the Mido Design Lab, an environment set apart for the most daring experimenters. Other attractions included the introduction of the Mido Fashion District, which hosted the world’s premier eyewear companies, and the debut of the Health and Innovation area showcasing the latest developments in vision health and prevention. As part of Milan’s busy fashion week and in the spirit of Mido, from February 28 to March 6 the International Optics, Optometry and Ophthalmology Exhibition partnered with Vision+Onlus – an Italian non-profit health organization – to offer the public free vision examinations at Milan’s Malpensa Airport. Nettleton feels that there is post-recession optimism among eyecare professionals who are regaining their entrepreneurial drive to find the exclusive piece or the look that’s going to be the forerunner for the next five years. Hakim enjoys Mido because there are certain European exhibitors who don’t venture to North America. In addition, he found this year’s gathering more exciting than that of last year, with an increase in the number of exhibitors and visitors. Gordon Duross is supplier account manager for Optometric Services Inc. (OSI), based in Montreal. OSI is a multi-service group that responds to the needs of more than 1,500 independent Canadian optometrists. His chief objective in attending Mido was to “stay ahead of the curve” in order to deliver offerings of tangible value to his network members. “The crucial factor is to be able to gather industry insight from a global perspective.” For Duross, the highlight of the fair is the relationship that OSI has developed with the Italian Trade Commission, which invited him to the event. Mido 2011 signified the convergence of design, fashion and technology, plus training and health. The three-day immersion in the world of eyewear proved to be a great success and was lauded by exhibitors and attendees from around the globe.